Editor's Note: This feature originally appeared in the July issue of MReport. When it comes to title insurance, efficiency and affordability set the best providers apart. While title insurance rates are predetermined in many states, the premier companies offer a range of products and services that help lenders close more loans more quickly with complete assurance that the chain of title is secure. They are driven to be fast, affordable, and reliable by the lenders they serve. They do this job best when they perform their work in a manner that is all but invisible to the lender and the borrower. Because they are so good at working behind the scenes, some might assume that that title company’s work was simple or did not require advanced technology, but that would be a mistake. These companies were among the first in the industry to adopt new technologies that would allow them to research the specifics of the properties they insure quickly. They are also on the cutting edge of the move to eClosing, which the Bureau of Consumer Financial Protection has publicly said was the future of the mortgage business. These are examples of technology driving the title business to improve and enhance offerings. But the converse is also true. 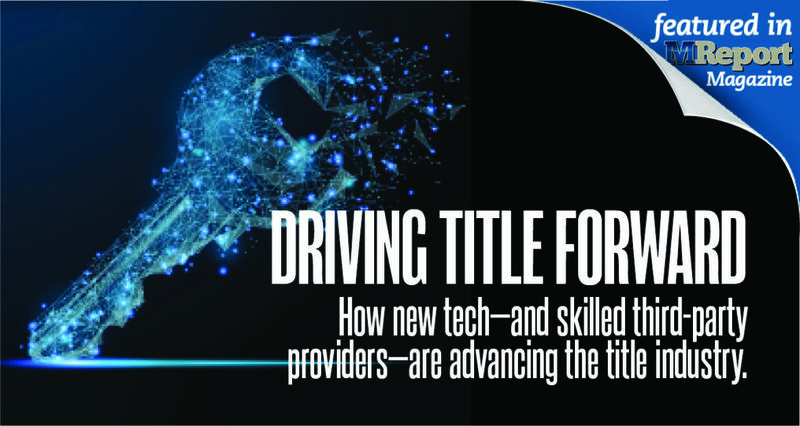 The needs of the title industry are driving new technology development. So, how is technology driving the title business today (and vice versa), and what are the goals of the companies that work in this space? It will probably come as no surprise that one of the primary requirements for an industry that is required to deliver quickly is speed. That means good title companies invest in good people, adequate training, and the best third-party service providers with the best technology. While the TILA-RESPA Integrated Disclosure rules made it illegal for the seller (or the seller’s agent) to require a real estate buyer to use a particular title company, the truth is that most borrowers are still going with the recommendations of their real estate agent or loan officer. For all of the government’s efforts to drive consumers to shop for real estate services, they just don’t purchase or finance real estate often enough to feel comfortable taking on that role. This means that it’s often a real estate agent that offers up a trusted partner to handle title insurance and closing services for a new home sale. To maintain this vital business referral partner, the title company is driven to complete its work promptly so that the loan can close on time, preserving the deal for the real estate agent that brought them the business. Similarly, in the case of a refinance where title insurance is recommended, the loan officer is the referral partner but the need to close on time is just as strong. In response, technologists have worked to make software more user-friendly as well as capable of performing more of the tasks that were at one time manual processes. The best example of this may be the online title plant. A job that at one time took hours or days and involved human researchers crawling through the vaults at the county recorder’s office now take minutes—or less. Third-party service providers have also done their part to remove friction and speed up the process. In our internal studies, we have found that turnaround time can be cut in half for many information products. Property search reports that can typically take up to three days for a regular order and two weeks for batches can be completed in just over a day for regular orders and 4.3 days for batch orders if the right process is employed. In some instances, this is being achieved with the use of robotic process automation (RPA) bots to complete parts of the search process. Far and away the most significant contributor to speed is effective communication, and this is one area in which tech shines. Automated workflow in modern title production software ensures that the right party is notified at the right time. Likewise, software used by third-party partners makes communication between parties quick and easy. Automated email recognition technology and automated reminders also help. But there are still processes that must be handled by humans. The key is to provide the right technology to everyone working on the deal. The same holds true for third parties assisting the title company. One way to accomplish this is for the partner’s personnel to work directly within the company’s own title production system. At the very least, it requires good interfaces between the partner’s work system and the title company’s own. Margins in the mortgage space have become compressed, and this includes the title industry. Fannie Mae surveys have been showing signs of thinning margins since at least Q1 2016. It’s a trend the entire industry has been struggling to respond to. It is now vital that every company working here reduce the cost of every product and service they provide. Because the services provided by the title agency are passed back to consumers, the pressure here is not so much to reduce what they charge as it is to bring down their expenses. Again, technology responds well to this problem, if correctly implemented. The most significant impact technology can have on title company expenses is by delivering efficiencies. The less time internal personnel spend on each task, the more efficient the operation. Technologists have responded by building more power into the systems they develop, but this then drives third-party partners to upgrade their technologies to keep pace. Technologies like optical character recognition (OCR)/ intelligent character recognition (ICR) and automated indexing are speeding up processes, and also reducing rework in many cases. Artificial intelligence engines are being incorporated along with these technologies to make the processes even more efficient and error free. Those firms that have invested in the tools or technologies required to continue to interface well with the title production platforms in place at the title agency are in the best position to be good title company partners. Seamless electronic integration between platforms means data can be transferred between suppliers and requester systems without extra work or errors. In our experience, the only way to significantly cut costs is to employ expert third-party outsourcing partners who do the work every single day, and who have perfected the process using an optimal mix of process expertise and technology. Even as new technologies are allowing title companies to provide their products and associated services faster and cheaper, these same technologies are driving their third-party partners to innovate. Only by ensuring their technologies interface effectively with the latest tools in place in the title agent’s shop can these potential partners hope to keep pace. This has sent prospective partners on a quest to determine the actual needs of the title companies they hope to serve. The search begins with the title operations and product development departments, where partners learn what capabilities exist in-house and what requirements the title company’s IT department requires to connect the systems. In many cases, this requires new software, often written with the help of one or more APIs, to bring the technologies together. Rarely is the new software developed by a partner a one-size-fits-all solution that will work for other title companies. In most cases, the partner’s development staff must listen carefully to the needs of the title agent and then map the perfect solution to fill the gaps between the systems. It must be efficient, decreasing turnaround times without impacting the title company’s bottom line. One area in which technology is truly driving the title industry is regarding third-party vendor management, not just concerning integrating systems, as described above, but also how title agencies form partnerships in the first place. Vendor management systems help title companies manage title process from start to finish, whether the work is handled internally by technology or through the support of third-party partners. The workflow on these platforms and integrations with third-party vendors allow data to pass back and forth easily and includes tracking and management of orders and even methods to track the timeliness and quality delivered by the partners. If suppliers on the platform provide services like electronic closing, electronic document delivery, and real-time status updates, it makes the process even more efficient, accurate and flexible. These new technologies are a quantum leap forward in vendor management and bring new power to title companies as they work to streamline their operations, reduce their costs, decrease their turn times and improve their bottom lines. 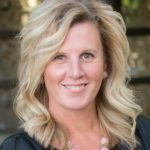 Melanie Cornelius currently serves as VP - Business Development for SLK Global Solutions. She is based in Dallas and can be reached at melanie.corenlius@slkgroup.com.